A new year is here and so are new Bangkok markets too! 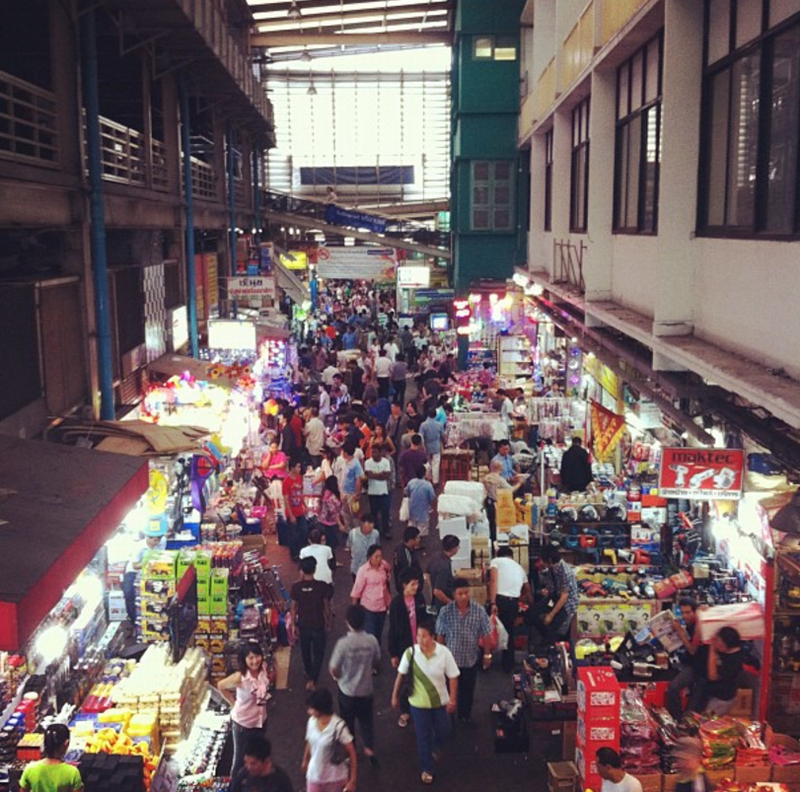 If you are planning to travel to Bangkok, one of the things that you must do there is definitely to visit the markets! Planning travel itineraries can become quite a hassle as there are so many Bangkok markets out there and so much research has to be done. This is why we have compiled a comprehensive 2017 updated guide to Bangkok markets for you to refer to when you doing up your travel plans! It includes night markets, floating markets, flower markets and much more! ArtBox Thailand is a modern, hipster marketplace that sells the trendiest food and shopping items! Popular among the millennials, this Instagram-worthy market is not to be missed! You can catch live band performances and have a chill night out over there too! More importantly, if you are not heading to Bangkok any time soon, fret not as they are coming to Singapore on the 5th to 7th of May 2017! 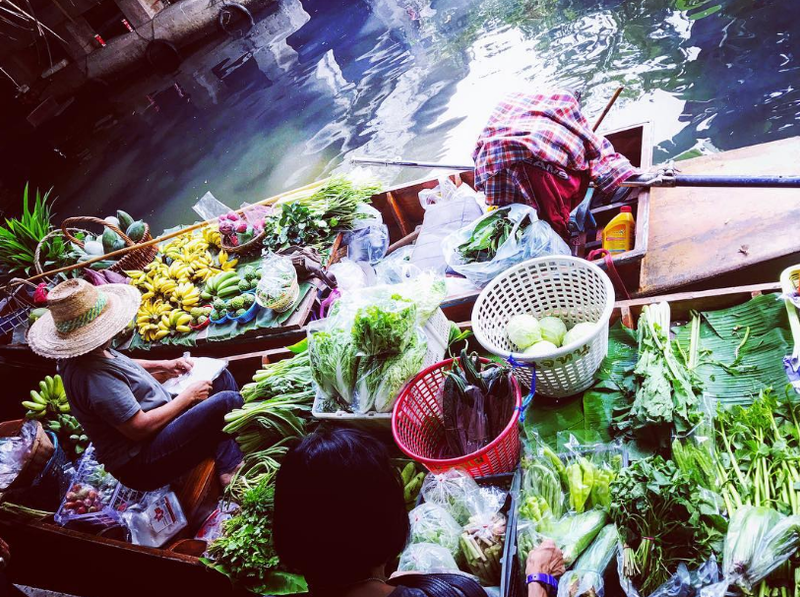 Located relatively far away from the Bangkok city area, the Amphawa Floating Market is one of Bangkok’s most popular floating markets (both among locals and tourists) as there are plenty of things to see and do there! From shopping to eating to massage, the Amphawa Floating Market surrounds you with the local traditional Thai culture and experience. However, be warned as it can get really crowded there! How to get there: BTS Saphan Taksin station. 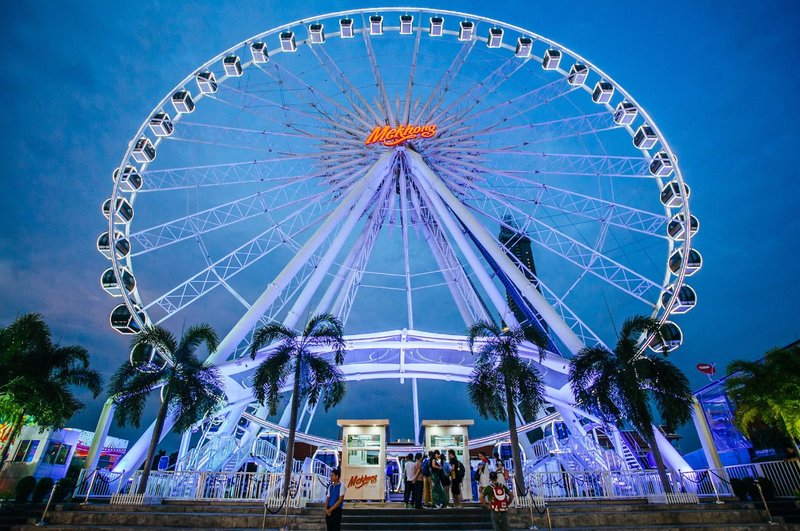 Take the free shuttle boat at the pier which operates from 4pm to 11.30pm. The last departure from Sathorn pier and Asiatique pier is 11.15pm. Due to possible heavy traffic jams, we do not advise taking a taxi there. 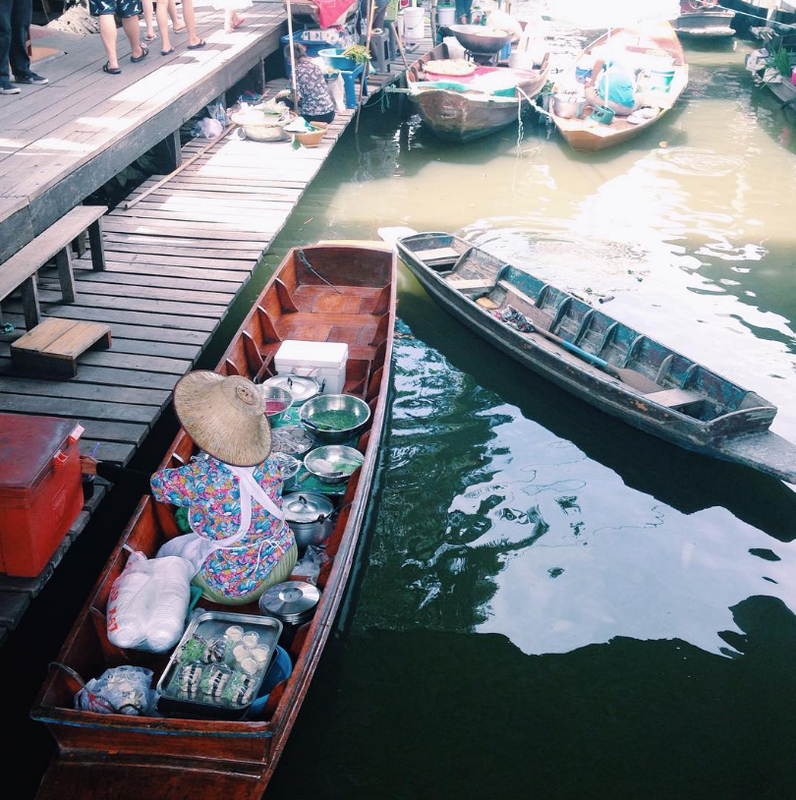 A tourist attraction located outside of Bangkok, the Bang Nam Pheung Floating Market is one of the many other floating markets that you can go to to escape the bustling city atmosphere. Get ready to feast on savoury local Thai cuisine such as Tom Yum Kuey Teow and Meatballs wrapped with crispy noodles! You can also rent rowing boats or bicycles and explore the wonderfully calm surroundings away from the bustling city. 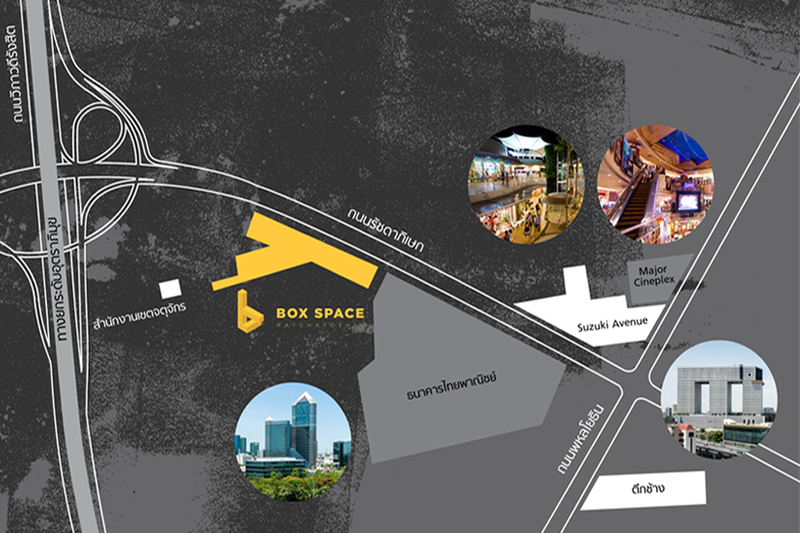 The Box Space Rachayothin night market started last year and has a similar concept to that of ArtBox Thailand. It is divided into three zones- Market, Plaza and Hangout. Leaning towards the young and trendy hipster theme, the Box Space is a cozy place for you to relax and hang out with your friends! Littered with quirky cafes, food stalls and small restaurant establishments, you can try out cool and creative food items such as reindeer shaped cheesecake or have a taste of the local delights served there. You won’t feel bored at the Box Space Rachayothin as there is a live band to entertain the crowd as well. For the shopaholics, there are plenty of stalls selling trendy fashion clothing and handmade handicrafts and accessories too. Address: 20/126 Ratchadaphisek Road, Chatuchak, Bangkok 10900. How to get there: By taxi. If you want to save on some transportation cost, take a taxi from MRT Phahon Yothin. The Chatuchak Weekend Market (or Jatujak Market) is one of the world’s biggest weekend market and definitely the most popular market in Bangkok. 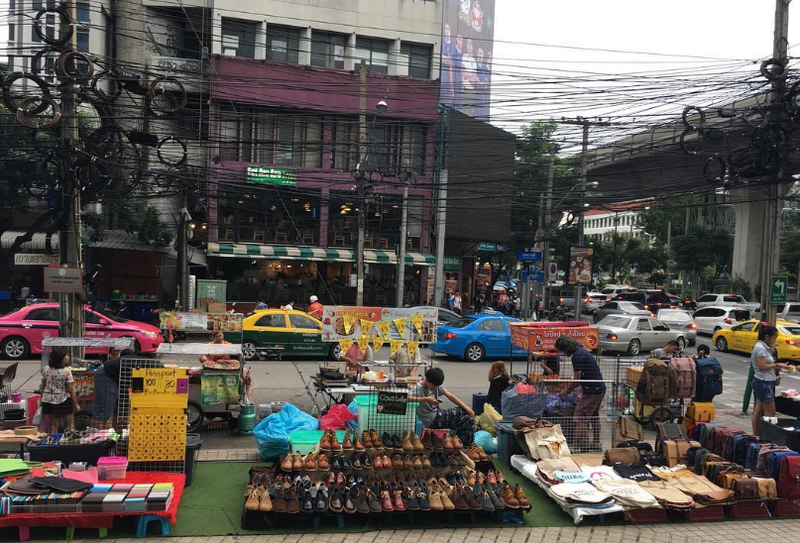 If you are a first-timer in Bangkok, you cannot give this market a miss! On Wednesdays and Thursdays, the Chatuchak Weekend Market sells plants and flowers and on Fridays it is wholesale day! Fridays and weekends are the days when the market will be more catered for tourists, so do take note that it will be super crowded during these days. Do be warned that prices have gone up quite drastically due to its exploding popularity, so do not fall into tourist traps and pay for over-priced items! 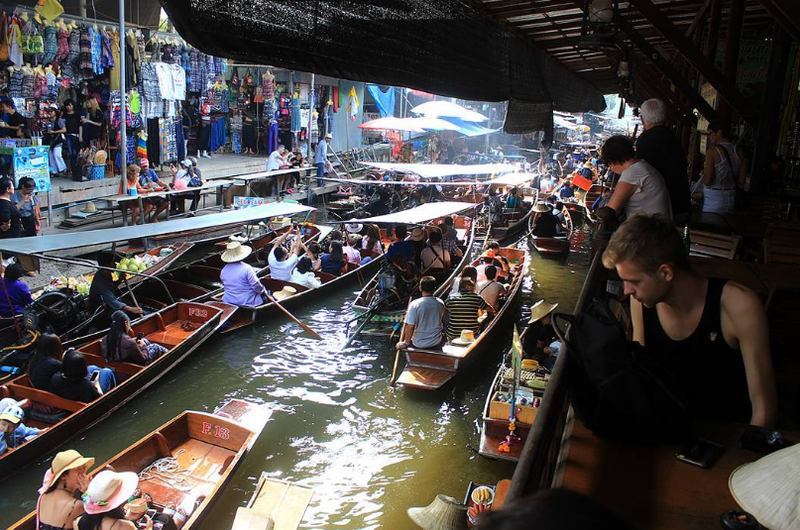 Just like how the Chatuchak (Jatujak) weekend market is the most popular weekend market in Bangkok, the Damnoen Saduak Floating Market takes the title of being the most popular floating market in Bangkok. 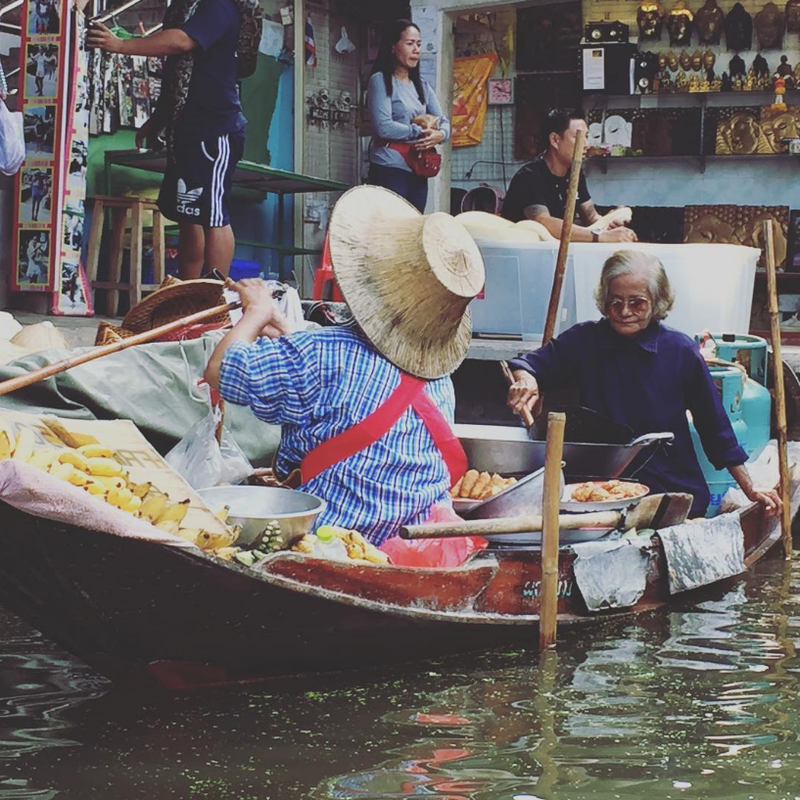 Photos of the Damnoen Saduak Floating Market are all over the Internet, and now you will finally get to see it with your own eyes! Take a ride on the traditional long-tailed boat and witness the Thai local culture and daily life unfold before your eyes as the locals go about starting their day at the floating market. Hua Mum market is not really well known to tourists as it is catered for the locals there. This is also the reason why the Hua Mum market can be quite inconvenient to reach too. For those who do not know Thai, it may be hard to get around as there are very few English signs around. However, the inconvenience is worth it as you can find cheaper goods and have a more authentic local market experience there. Also, it is located near Rot Fai (Train) Market, Kaset-Nawamin (listed below) so you can visit both markets in the area! 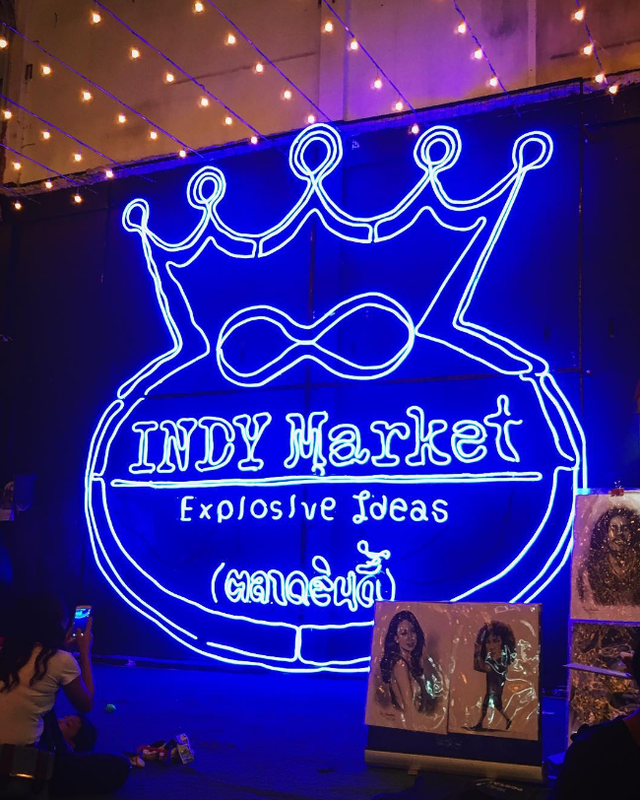 The Indy Night Market, also known as the Platinum Indy Night Market, is another one of the many hipster Bangkok markets that have sprung up recently late last year. 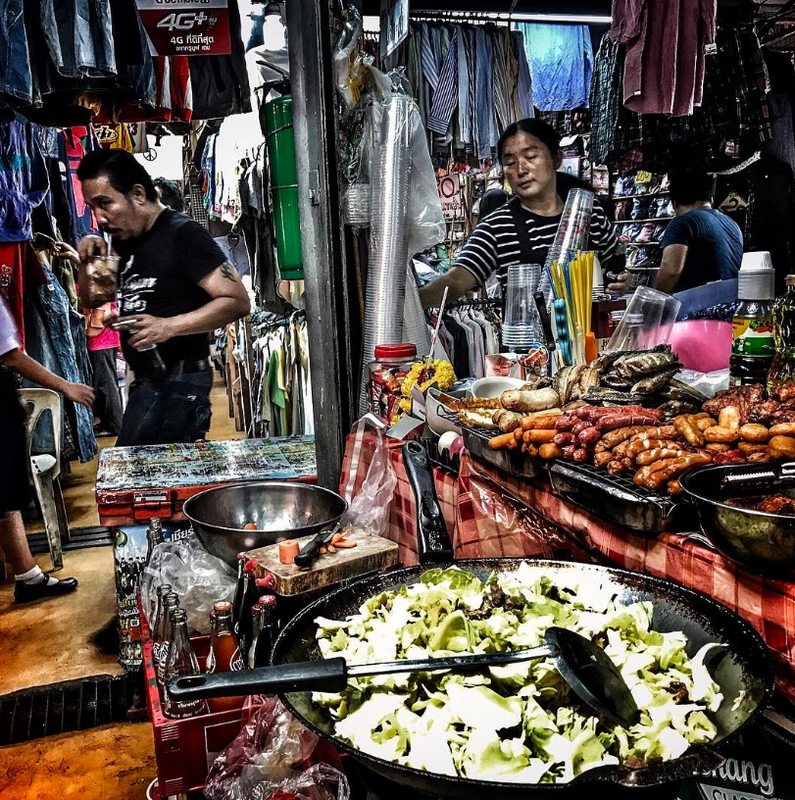 Located near the Dao Khanong Pier, this huge market is hosted by the same people who organized the popular night market near Platinum Fashion Mall. Get your cameras and phones ready as you snap hipster Instagram-worthy photos and try out the trendiest food and drinks! How to get there: Unless you are good at taking buses in Bangkok, it is best to just take a taxi there. The Jatuchak (JJ) Green Vintage Night Market is a huge throwback to the 1940s and 1950s. If you are into vintage and retro, Jatuchak (JJ) Green Vintage Night Market is the place for you! Packed with stalls selling retro and vintage goods, it is a good place for you to shop for second-hand items and souvenirs. Even if you do not wish to purchase anything, you can simply look around and chill at this unique market by grabbing a drink at any one of the bars lined up along the street! For the Millennials, you can take cool, hipster Instagram-worthy shots at the market too! 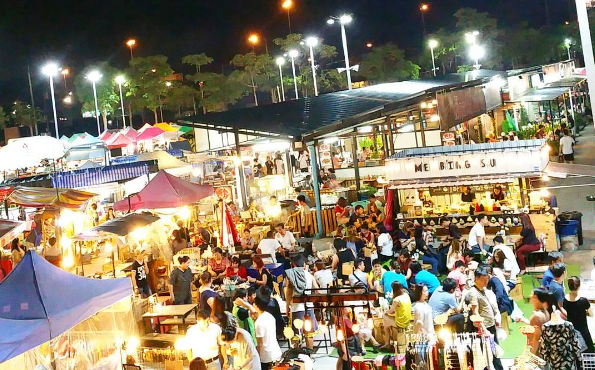 Get ready to sweat it out if you are planning to head to the Khao San night market as it is crowded and packed throughout the night! You will get a full-blown experience of the busy nightlife here right at Bangkok, Thailand. 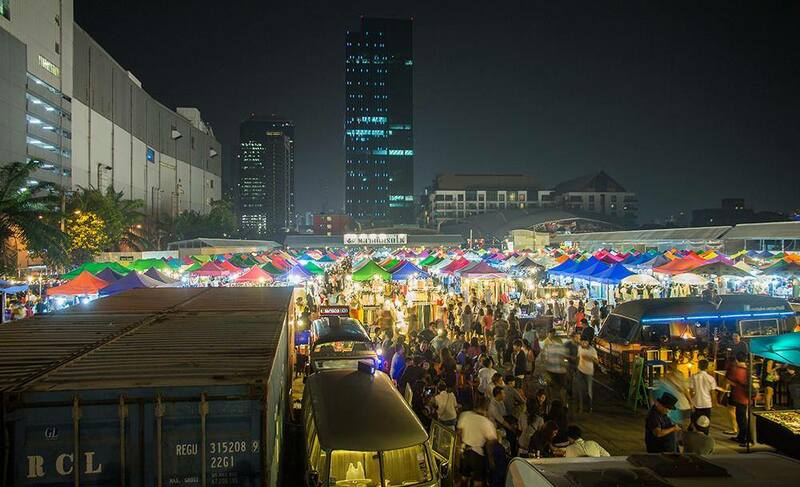 Whether it is food, shopping or entertainment, you can get it at the Khao San night market! For those who are looking for somewhere cheap to stay and wish to be located near a local night market, there are many budget hotels located around Khao San night market so you can go check them out. How to get there: BTS S6 Saphan Taksin Station (Silom Line). 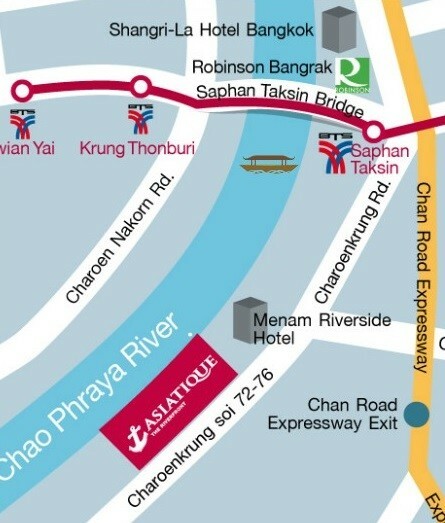 Leave via Exit 2 and walk to nearby Chao Phraya Express Boat Pier. Take Express Boat upriver to Banglam Poo Pier N13 Exit pier and walk a short distance to Phra Athit Rd. Turn left and follow Phra Athit Rd. Past Phra Sumeru Fort on your left and continue another 300m to the intersection with Chakrapongse Rd. Cross Chakrapongse Rd, then turn right and proceed for about 350m to Khao San Rd which will intersect on your left. If you want to experience a peaceful and relaxing floating market, you can visit the Khlong Lat Mayom Floating Market. As it is less popular than that of the Damnoen Saduak and Amphawa Floating Markets, the market evokes a more authentic feel as it is not packed with tourists. Strike up a heartfelt conversation with the locals and get the chance to connect with them while you are there. Do remember to try out the local instant ice cream rolls where they “stir-fry” an ice cream out of milk on an iced pan too! 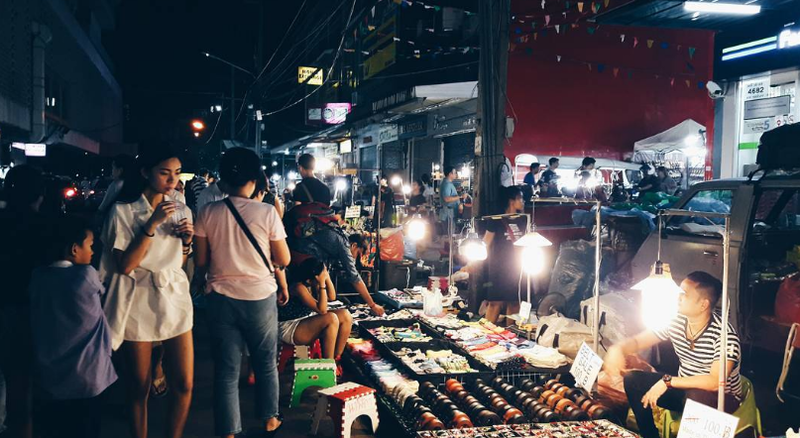 The Khlong Lod Night Market is a market that is unlike the trendy, hipster night markets that have been popping up recently. 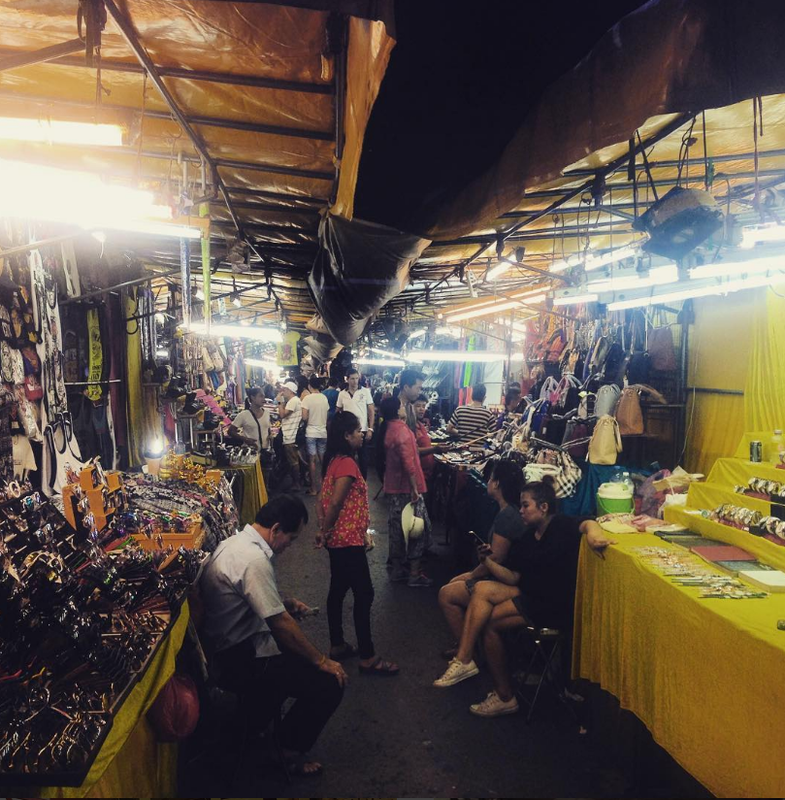 Featuring vintage and antique goods, the Khlong Lod night market is a good place to visit for all who want to visit a local, authentic night market. During festive and holiday seasons, the market can become quite packed so do avoid going there during these periods if you are agoraphobic. Address: 5 ??? ???????? Khwaeng San Chao Pho Sua, Khet Phra Nakhon, Krung Thep Maha Nakhon 10200, Thailand / Ratchadamnoen Klang Road to Golden Mount. Opening Hours: 12am to 12pm, Tuesdays to Sundays and 6pm to 12am daily. How to get there: Taxi or take a taxi from the nearest MRT Hua Lamphong station. The Khlong Thom Market is commonly confused with the Khlong Lod Night Market (listed above) due to the obvious similarities between their names. 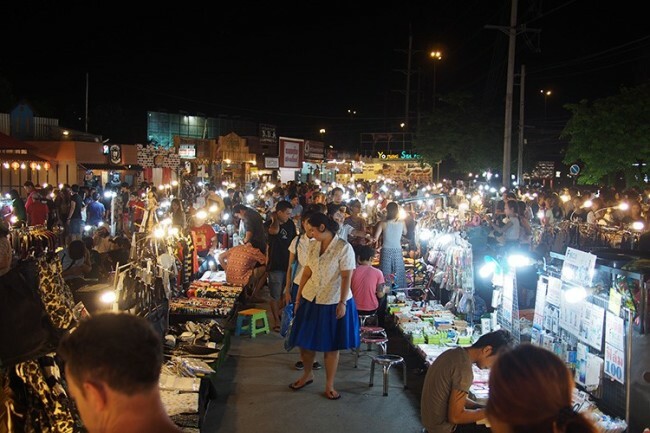 In the past, the Khlong Thom Market used to be called the “Flashlight Market” as it is said that shoppers will need a flashlight in order to take a look and browse through the market at night. However, things have definitely improved as there is better lighting installed for better visibility so that customers can shop around with ease. So don’t worry, you don’t need to bring a flashlight if you intend to visit there. If you wish to take a break and get away from the busy market, you can visit the Klong Thom Center nearby too. 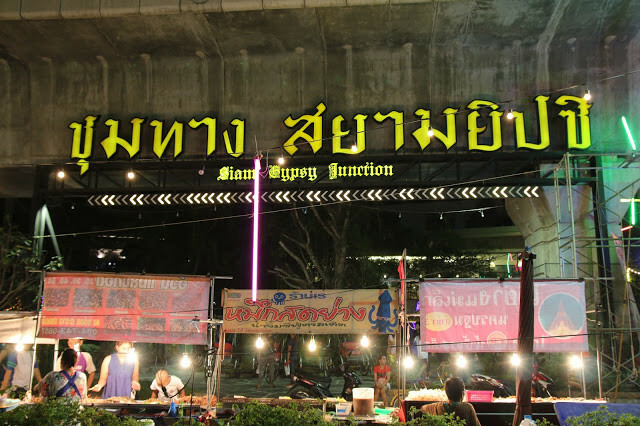 The Liab Duan Night Market can be quite out-of-the-way and inconvenient to reach as it is not located within the city area of Bangkok. 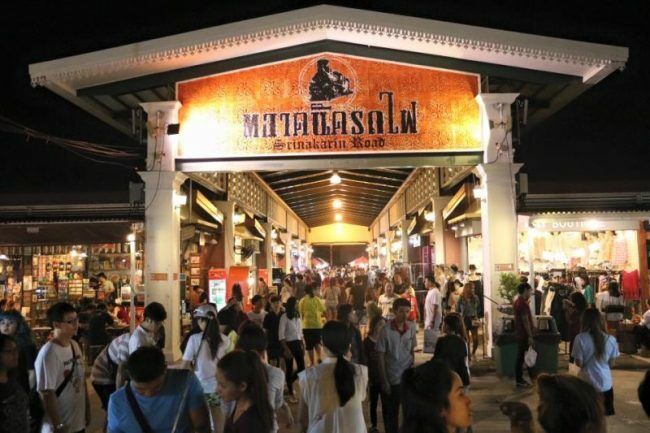 However, if you are willing to take the extra effort to come out from the city, you can enjoy a different, unique kind of Bangkok night market experience. 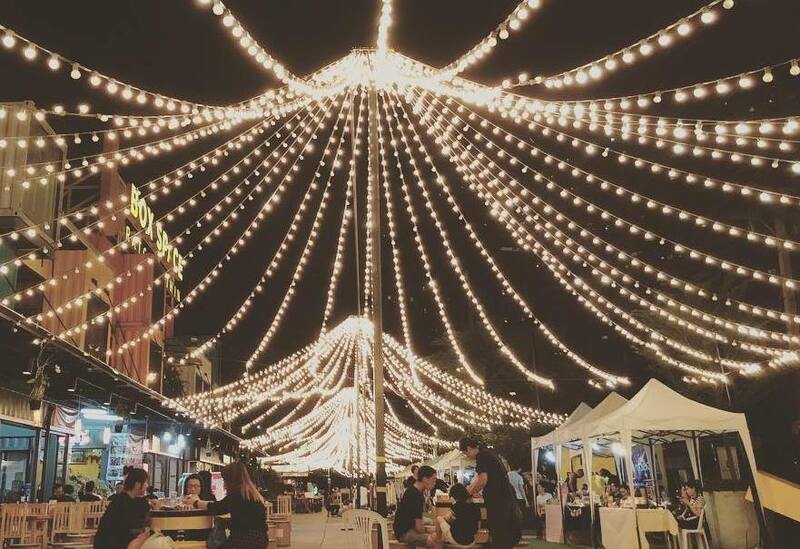 Especially for those who are annoyed and irritated from all the noise and crowds, the Liab Duan night market would be perfect for you! You can also find cheap goods and avoid tourist traps that prominent everywhere in the city. 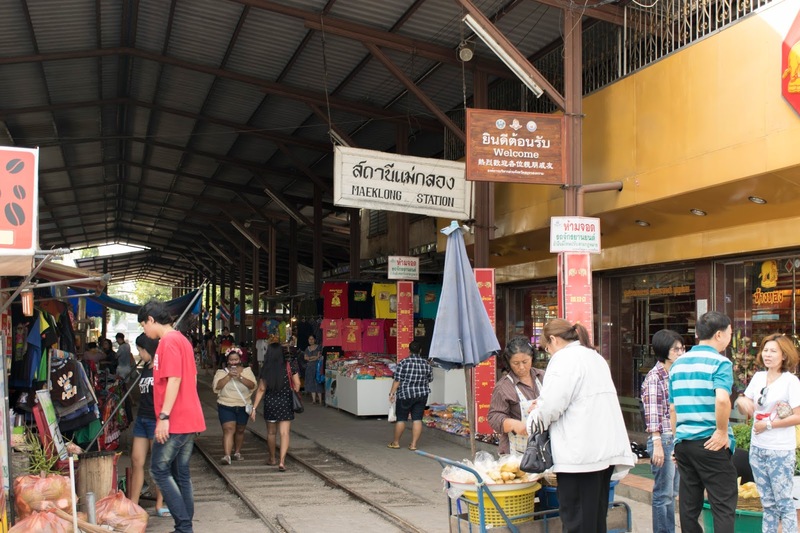 From the name itself, you can tell that the Mae Khlong Railway Market is clearly different from the rest. The Mae Khlong Railway Market (a.k.a Umbrella Pulldown Market or Talat Rom Hoop) has a train passing through it several times a day and the stalls are literally standing right next to the railway tracks! An alarm goes off before the train arrives and stall owners will pull back their shades away from the track with only seconds to spare. Selling a variety of local produce, the Mae Khlong Railway Market is a unique place that you should not miss out on! 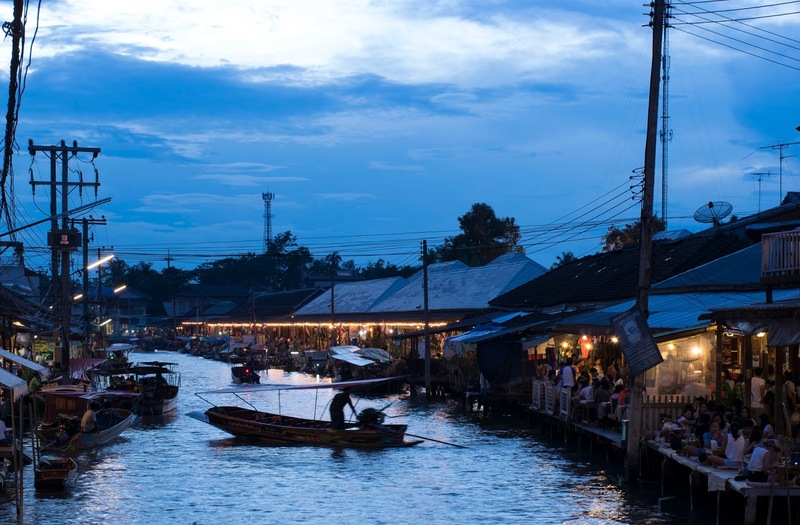 And while you are there, why not visit the Amphawa Floating Market nearby? Putting this onto the list to simply tell you that it is permanently closed. 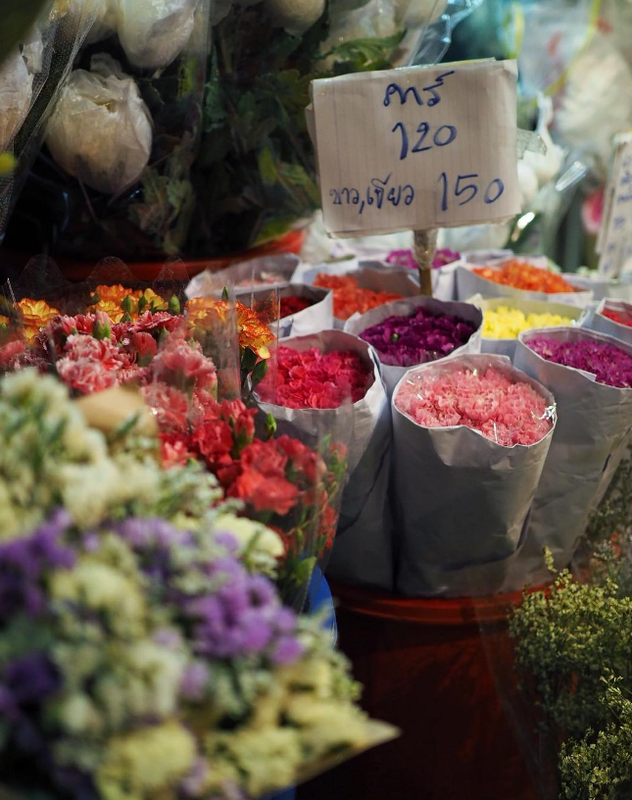 Pak Khlong Talat Flower Market is Bangkok’s largest wholesale flower market. It is open 24/7 and a great place for you to relax and get away from the busy city environment. Even if you are not intending to purchase any flowers, it is still a great place for you to calm your mind and surround yourself with beautiful and sweet-smelling flowers. If you need to take a break from hopping around the different Bangkok night markets, the Pak Khlong Talat Flower Market is a good alternative for you to explore. How to get there: BTS S6 Saphan Taksin Station (Exit 2) and walk to Chao Phraya Express Boat Pier and catch the Express Boat from Sathorn Pier (Central Pier) up the river to Memorial Bridge Pier (Saphan Phut). For those who wish to bring home some customized souvenirs, the Palladium DIY Night Market is just for you! 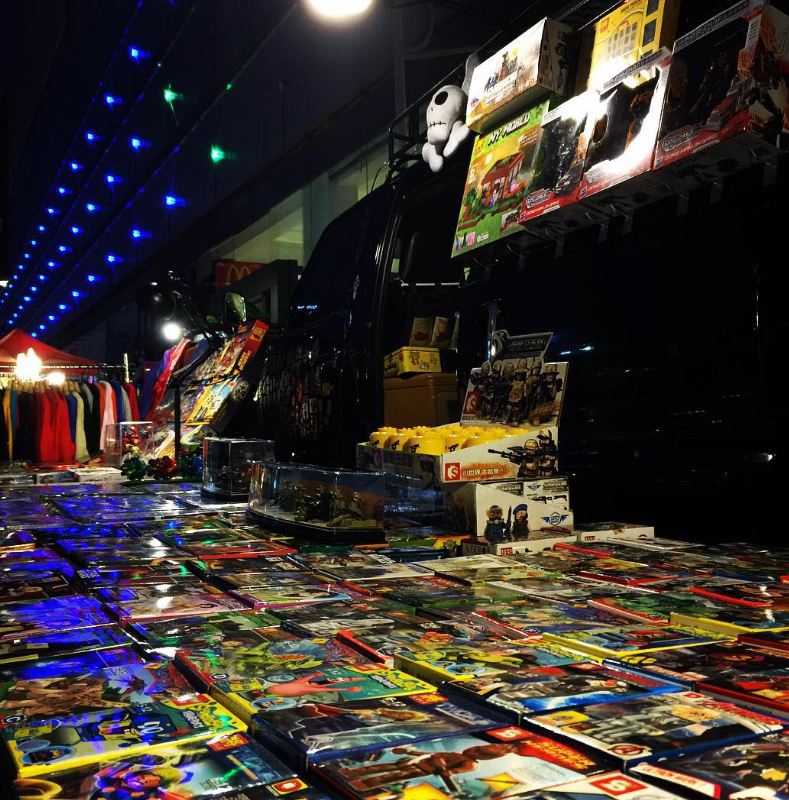 Located near Palladium World Shopping Centre and Platinum Shopping Mall, the Palladium DIY Night Market offers customization services for all sorts of goods such as bags, clothes, wallets, etc. It’s a good place to visit if you are thinking of getting some special souvenirs for your family and friends back home! 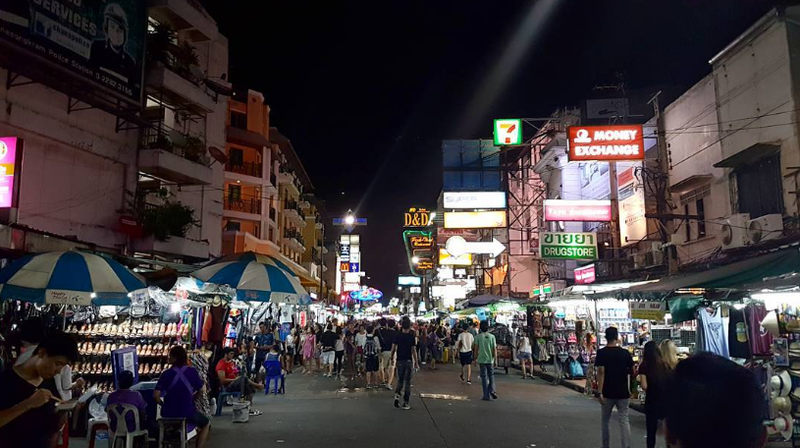 If you are keen on experiencing the Bangkok nightlife, the Patpong Night Market is the place for you! Lined with go-go bars within the Red Light District, you will not be disappointed with the night scene there. Be careful while you are shopping there and try not to get ripped off there as they charge high prices to tourists. Go ahead, be shameless and bargain with them for discounts! A little inconvenient as there are no BTS or MRT stations nearby, the Ramkamhaeng Night Market is still worth a visit as the food and items there are super cheap! As it is catered for the locals rather than tourists, you can expect little tourist guides or signs at the market. It is a good place to get the full experience of a local Bangkok night market. This retro-style market is the go-to for a unique vintage market experience. At the Rot Boran Market, automobiles are turned into pop-up stores. For Instagram-worthy photos and second-hand vintage goods and collectibles, this is the place to go! 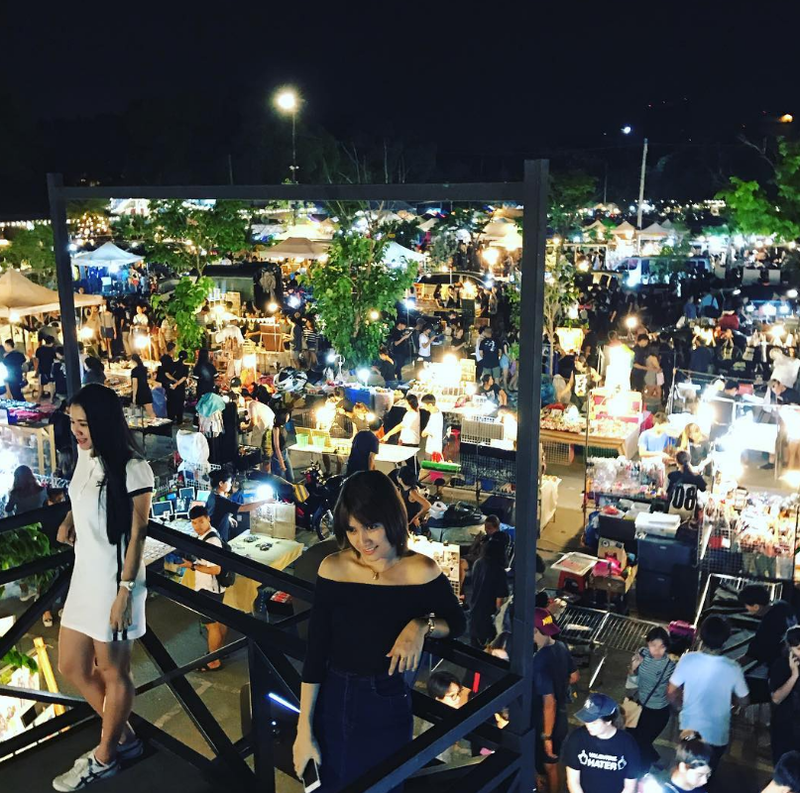 The Rod Fai night market is a hipster, retro market that used to be situated near the train tracks behind Chatuchak market. It is unique due to its interesting decor and you can explore different themed sections (e.g. Market Zone, Warehouse Zone and more) that are sure to pique your interest. 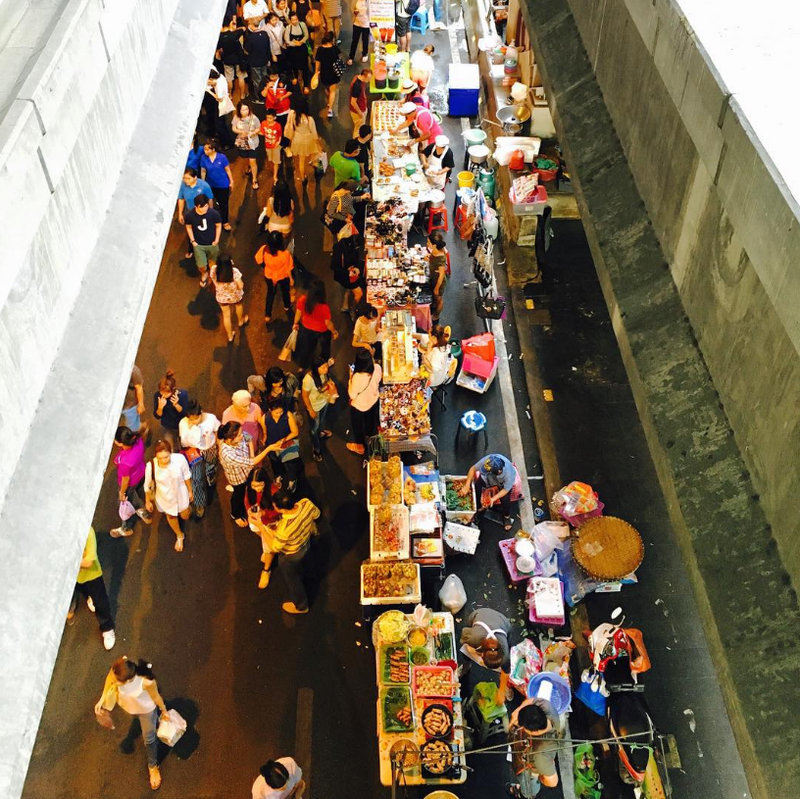 The Rot Fai Train Market at Ratchada is the second version of the original train market at Srinakarin (above). The good news is that this one is slightly more accessible as it is situated right beneath the National Cultural Centre station, making it super convenient to find! However, it is smaller than the original one so if you wish to get a more authentic train market Bangkok experience, the Srinakarin one would be better for you. 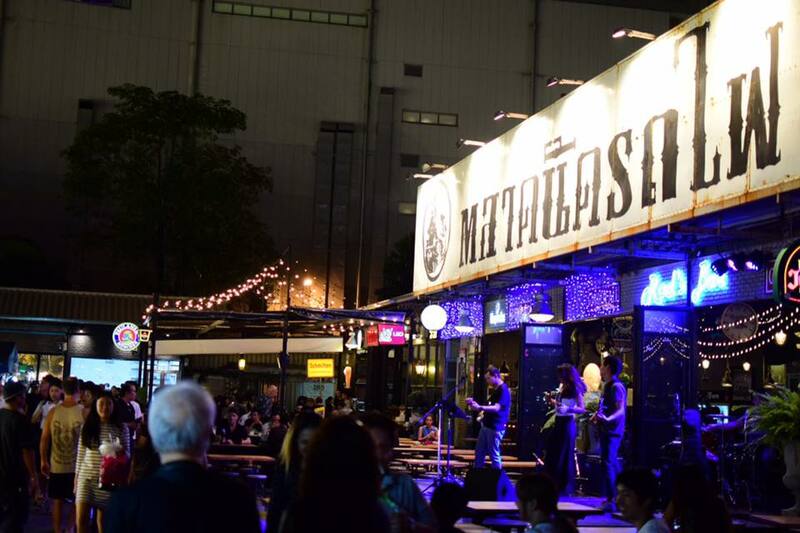 Get hyped up at the Rot Fai Train Market, Ratchada as the energetic live band performances pump up the crowd all night long! Opening Hours: 5pm to 1am, Thursdays to Sundays. Yes, there is a third version of the Rot Fai Train Market and it is located at Kaset-Nawamin. Having so many versions of the same market, yu can already see how popular it is! Being more true to its name, this version of the Rot Fai night market is slightly different from the previous two markets as it is decked with old warehouses, containers, vintage train carriage shops and even has a faux train station to throw you back to the 1950s! This train town themed market will be perfect for those who are looking to take hipster shots. The Pratunam market is one of the most popular street markets in Bangkok. It opens early in the morning, so you can head over there if you want to start your retail therapy early in the day! 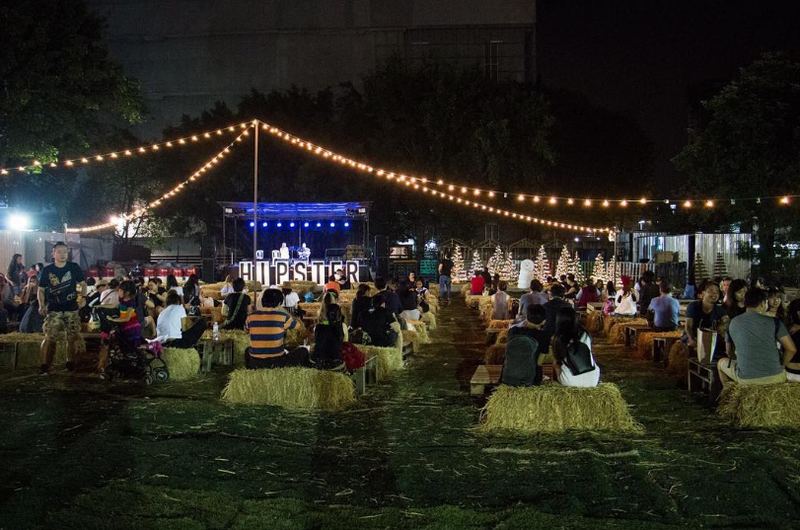 Feast on awesome street food and hunt for cheap deals while you’re there. If you ever need to hide from the sun and cool off from the sunny weather, you can also simply walk over to Pratunam Center or Platinum Fashion Mall that are nearby! 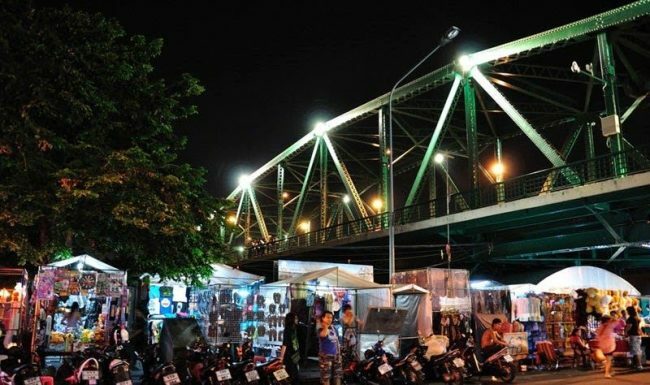 At the Saphan Phut night market, you can find a variety of souvenirs, clothes and other cheap goods! You should check it out as it has a unique location underneath a bridge, lots of stalls and even tattoo services for you! You can even take wonderful sunset photos at the bridge if you are heading there early evening. 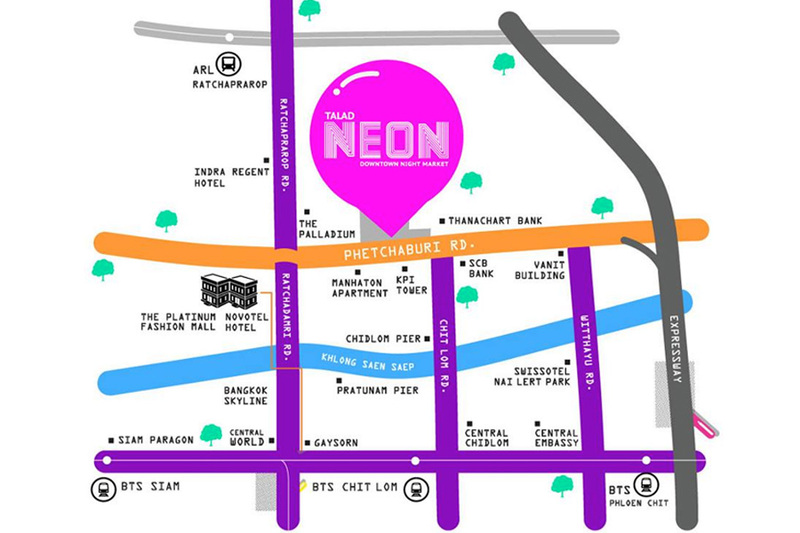 How to get there: BTS S6 Saphan Taksin Station (Exit 2). Then, take Chao Phraya Express Boat to Memorial Bridge Pier. Or W1 National Stadium Station (Exit 2) and take bus no.73 or taxi. The market is near Pak Klong Talad. Similar to the Rot Fai market, Siam Gypsy market is here to bring you lots of hipster and vintage items too! As it is relatively new and not many know about this place, it is less crowded than the other vintage markets so it is a good place to go to if you want to avoid the tourist crowds. Silom Walking Street is a Sunday market that is located in the heart of Bangkok. You can have a taste of the traditional Thai food or even international cuisines there. With live music, street performances and great shopping atmosphere, the Silom Walking Street market is not to be missed if you are in Bangkok on a Sunday. 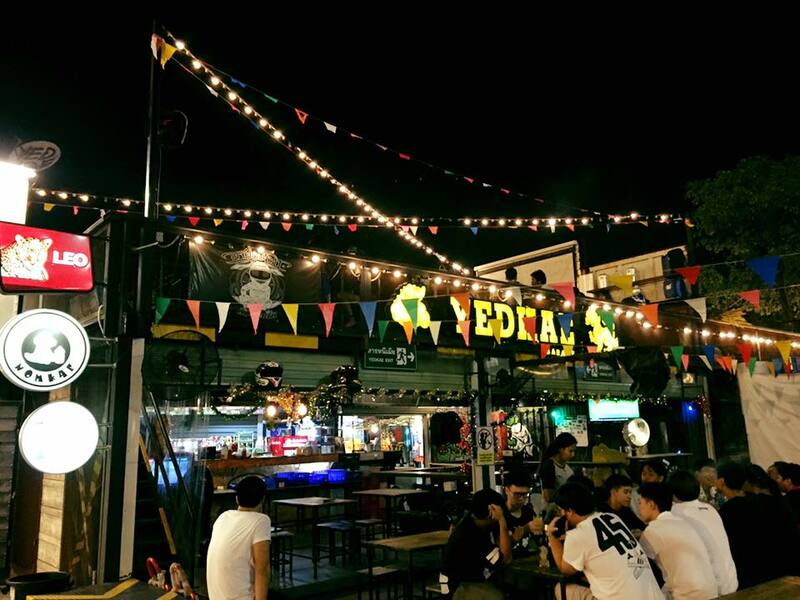 The Suan Lum Night Bazaar, also known as Ratchadaphisek Bazaar, is a place where you will never get bored. It has 1800 stalls and even a 4-star hotel, 24-hours supermarket, cabaret shows, gyms and even a water park! Take a stroll at the open air shopping street and if you are tired, head into the indoor market area to cool off from the heat. 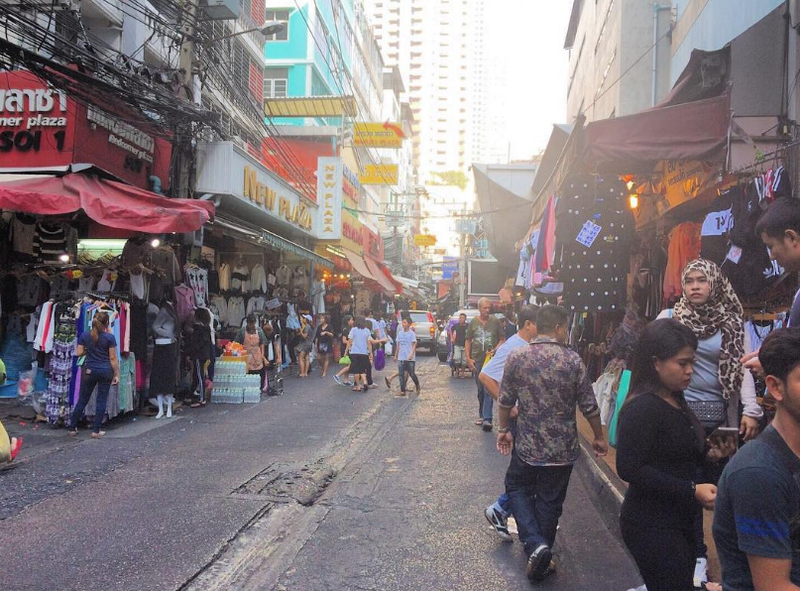 The Sukhumvit Street Market, also known as Nana Night Market, is different from the rest as it is heavily influenced by Arabian culture. 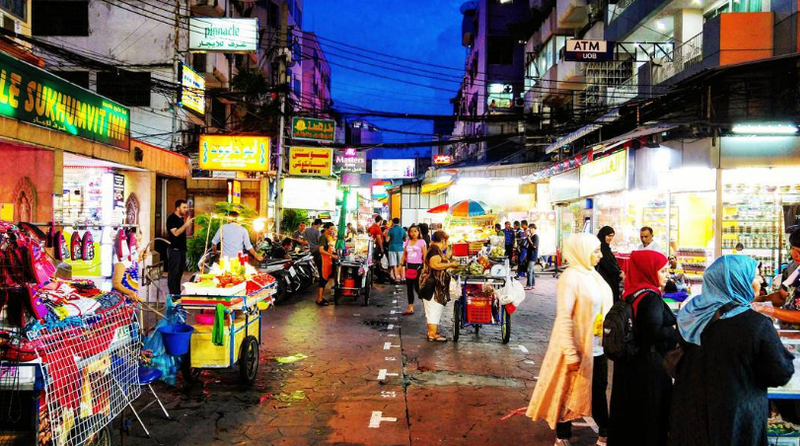 As some may call it Arab Town, the Sukhumvit Street Market brings in a totally different type of night market to Bangkok. The area is also packed with famous Bangkok nightclubs so party away and soak in the energetic atmosphere and Middle Eastern culture there. 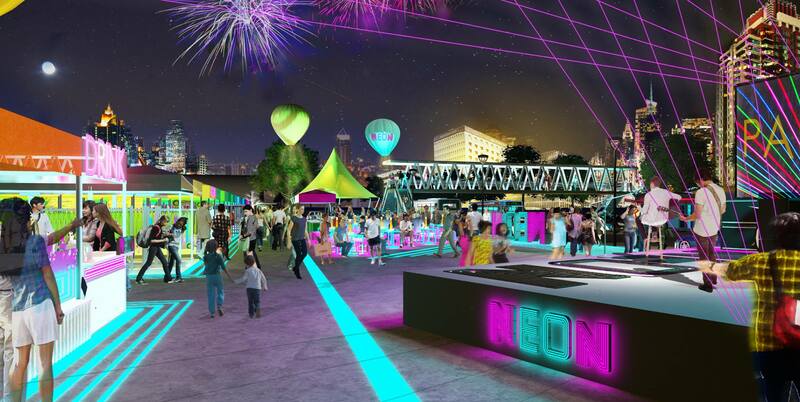 An energetic burst of energy at the heart of Bangkok, the Talad Neon Night Market is a hip and modern night market that inherits the container concept style- similar to the concept at the ArtBox Thailand market. Emitting a young and vibrant aura, you can find hipster and retro fashion clothing, as well as quirky food and drinks there. The neon lights create a futuristic feel to the whole place, where you can take awesome Instagram-worthy shots! You will not feel bored as there are live music performances to entertain you there. 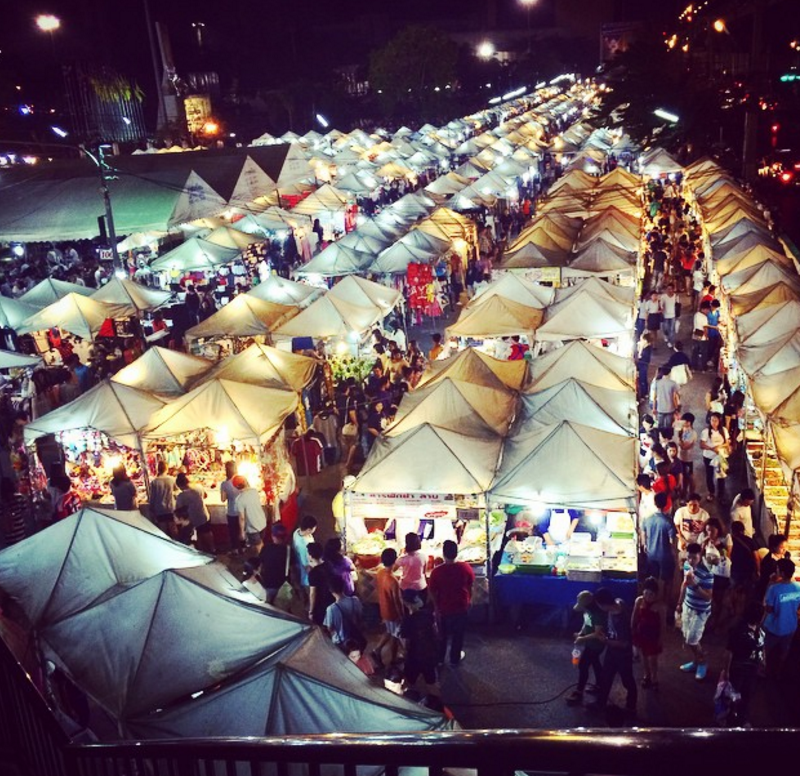 As this is a temporary night market, try to catch it before it disappears! The Taling Chan Floating Market is a good place to visit because it has not been “ruined” by tourists (yet). You can avoid squeezing through the tourist crowds and experience the real local Thai culture there. Have a meal by the river and listen to exotic Thai music as musicians play traditional Thai music along the river bank. The Victory Monument is large military monument situated at the Ratchathewi District in Bangkok, Thailand. 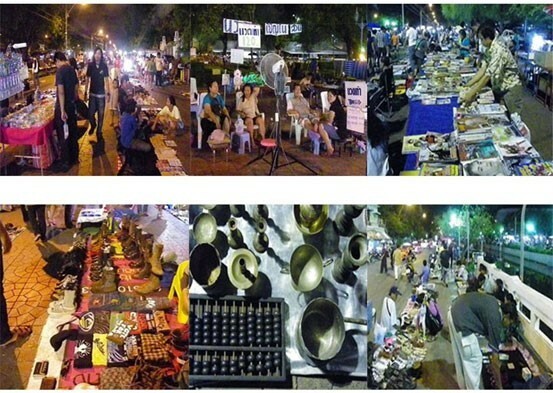 The area transforms into a market from late afternoon onwards into the popular Victory Monument Street Market. Get ready to shop till you drop as you browse through cheaply priced goods as the market is catered mainly for the locals workers in the area. If we have missed out on any Bangkok Markets or if you have better directions to get to these markets, do let us know in the comments below! Also, there will be more travel guides coming soon so stay tuned for more! Pantip Plaza is a huge IT mall right in the center of Bangkok and is the place to go to feed all your primal software and hardware needs.